There's way more to running a call center than hiring employees to act as agents and providing them with telephones. Whether you're running a small company or a larger business, it's crucial to be able to track, manage and route phone calls efficiently and effectively. Call center software streamlines these and other processes to help you get the most out of your agents. If you're just starting to shop around for call center software, you probably have lots of questions. With a little research, however, zeroing in on the best solution shouldn't be too difficult. This is software that automates the process of tracking and managing incoming and outgoing telephone calls. At its core, it's designed to support a call center and does so in a number of ways, including routing calls to agents based on their skills; enabling call monitoring and recording for quality assurance; providing scripts to agents to reduce redundancy and enhance productivity; and much more. This type of software is typically installed in data centers and distributed over office networks. However, cloud-based, or hosted software is also available and has been becoming more popular in recent years. If your call center has more than a few dozen agents, in-house software is probably the best option. It's the most cost-effective choice for larger call centers because, although the initial, upfront costs are considerable, the long-term costs are minimal. The software is typically housed using on-site servers, so it's best to have IT staff on hand to maintain it as needed. If you already have a solid data center in place, you shouldn't need to buy much more than the software. If your data center is older or simply doesn't meet the minimum requirements, however, additional investments will be necessary. While a lot of the buzz about cloud-based services has calmed down, smaller organizations continue to benefit enormously from them. Cloud-based software has skyrocketed in popularity in recent years because the initial costs to set it up are minimal. However, the trade-off is that you have to pay monthly fees to keep using the software. Unlike with in-house software, though, there's no need to buy new servers or to upgrade existing ones. Everything is hosted off-site. Without question, the most notable trend regarding call center software revolves around the cloud. Even though the economy has improved considerably, many businesses continue to pinch pennies wherever they can. Smaller businesses, in particular, don't often have the funds that are needed to set up in-house software, and a hosted option is a great alternative. The upfront costs are minimal, and setup tends to be quick and easy. With all of this being said, companies with larger call centers of 50 or more agents generally find hosted software to be too expensive over the long haul because fees are charged on a per-agent basis. Another fast growing trend is hosted VoIP providers transitioning their services to fully fledged Unified Communications solutions that include call center functionality. Recent research by market research company IDC stated that the on-demand cloud contact center market in the United States is expect to grow at a CAGR of 11.9% through 2019. This high demand in a fast growing market makes it a logical move by hosted VoIP providers to add this type of product to their suite of services. Today's consumers are savvier than ever. When they call a company for help, they expect their call to be handled quickly, efficiently and professionally. Even if you provide extensive training for your call center agents, call volume alone can make it just about impossible for them to manage calls properly. This can reflect very poorly on your business. 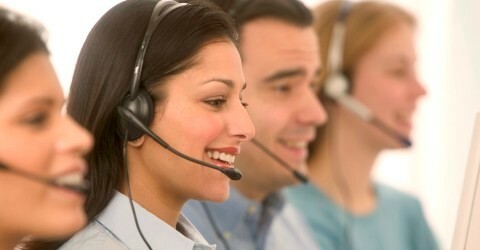 The simplest way to mitigate this issue is by investing in call center software. In fact, it's in the best interests of any company - regardless of size - to use this software. Those that don't tend to get low marks for customer support. The software streamlines the process of handling inbound and outbound calls. Depending on the type of software, it can route calls to the most appropriate agent and minimize the risk of calls going unanswered and determine the reason for a call to ensure prompt, effective support. With these points in mind, the main reason for a business to invest in a call center software solution is to be able to run the most efficient and effective call center possible. Automatic Call Distribution (ACD) - this feature improves productivity by assigning calls to agents based on instructions you provide. Typically, you answer a series of questions, and an algorithm is generated to route calls based on agents' skills. It also identifies idle agents to ensure the prompt answering and handling of calls. Interactive Voice Response (IVR) - allows customers to route their own calls by navigating through a series of prompts by using telephone buttons or voice commands. More sophisticated IVR features let customers access their accounts and perform a variety of tasks. Predictive Dialing - In a call center that makes outbound calls, this feature auto-dials hundreds of numbers at once. Those that are picked up are routed to appropriate agents. Computer Telephony Integration - In more advanced types of call center solutions, telephone systems are connected to computer systems so agents can instantly see pertinent information about whoever is calling. Customers' account information, notes from previous calls and other information instantly appears on the screen, which makes for a more effective and helpful call experience. Call Queuing - Ensures that every call is handled appropriately without callers receiving busy signals. Each call is queued until an agent is available to take the call. Good queuing software gives the caller an indication of how long they will be in the hold queue before their call is answered. Setting expectations is great customer service, so even if a call cannot be answered immediately, the caller is not left hanging indefinitely with no idea of how long it will be before the call is answered. Remote Agent Support - It is no longer a requirement to have every agent squeezed into a single building to be able to run an effective call center. Most advanced solutions now allow agents to be located pretty much anywhere in the globe making it completely transparent to the calling party. This feature allows for the hiring of agents in lower cost geographies. Call Recording - Although every solution will offer this, it is worth evaluating and testing how easy this feature is to use as it will typically be a requirement for almost every call as call recording is often necessary as part of corporate governance. It is also important to understand how the files for recorded calls are managed, stored and archived by the software as these files can be large making it quickly become a challenge to manage how these are stored. Unified Communications Integration - Not every agent will be a superstar that can answer every question without any assistance. As such it is critical that an agent can quickly contact a subject matter expert, supervisor or colleague to get assistance while on a call with a customer or prospect. Having easy access to chat, email, click-to-call, presence, email, webinar software and conferencing features will quickly enable an agent to resolve any issue. This is especially important for remote agents while the VoIP calling feature will also help eliminate any potential for long distance charges. While this is a short list of what are generally considered to be the key features of a call center, there are a lot of other features that warrant consideration during the selection process. These features will be covered in a seperate upcoming article. inContact - Over 100 of the Fortune 500 companies use inContact's call center software. This powerful platform unifies software to enable communication using voice, email, chat, SMS and social media. It also offers a complete networking solution acting as the actual carrier for all of your voice and data needs. LiveOps - Realizing that customer interactions was evolving, LiveOps designed its system so it could be used through voice, chat, SMS and social media. With over 50,000 users and 3 billion interactions it is clear that it is a popular solution for call centers. Talkdesk - Requires no special hardware and integrates with 28 other popular business applications. Very cost effective call center plans. Five9 - One of the leading virtual call center software solutions offering inbound, outbound and blended packages. 8x8 Virtual Call Center - hosted business phone service provider that also offers a virtual call center solution to manage inbound calls. No hardware necessary and easily integrates with a CRM. Check out the demo. Avoxi - A popular choice for cloud-based call center solutions, especially for smaller businesses. 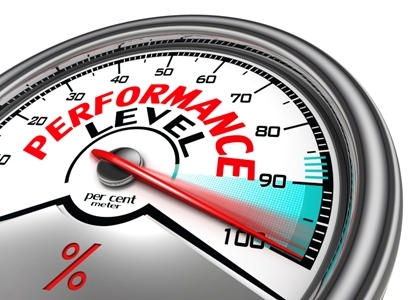 Top benefits include real-time reporting, live monitoring and a 30-day free trial. Mitel MiContact Center - Mitel has offered both on-premise and cloud based business phone service for a number of years. The MiContact solution builds upon these traditional phone service offerings by providing businesses with a contact center solution. The MiContact is an on-premise solution for larger companies while the Mitel Anywhere Contact Center is a cloud based solution for smaller companies that typically have under 100 agents. Corvisa Cloud Virtual Contact Center Solution - inbound and outbound platform that is easy to use and quickly automates workflows. Safesoft - offers unlimited minute packages with inbound, outbound or blended options. Demo available. Nextiva - Both Pro and Enterprise packages are available that offer varying levels of functionality from a cloud based solution. Contact Center Anywhere (CCA) - The mere fact that this software comes from Oracle is reason enough to consider using it. One of the most compelling features is that it's easy to integrate with a variety of CRMs. Contact us to add your company to this list. How Much Does it typically Cost? In terms of upfront costs, in-house call center software is more expensive. A mid-sized company can expect to pay around $1,500 per agent for the initial setup. A larger company will likely spend around $1,000 per agent. If telephone hardware and equipment are needed too, you should add an extra $500 per agent to the bill. All told, setting up software for a large call center will cost between $100,000 and $500,000, with setup and installation costing up to $25,000. Moving forward, fees for support and maintenance should be minimal. For hosted, or cloud-based software, upfront costs are minimal. Without a contract, you can expect to pay $50 to $300 per agent each month. With a contract, those costs should drop a little. The cheapest software will cost between $65 and $125 per agent each month, but it probably won't include advanced features like call scripting and workflow automation. To find the call center software that's right for your business, start by deciding whether hosted or in-house software makes the most sense. Next, familiarize yourself with the available features and choose the ones you can't go without. Finally, come up with a list of five to 10 providers and sign up for free trials, when available. Before too long, you should arrive at a solution that works perfectly for your business. Save Time with FREE Comparison Quotes in Minutes from Top Business Providers!